My little one on the map we helped paint at Hampden Elementary/Middle School last May. “I’m so angry, I’m so angry,” I say at breakfast, my calm affect completely at odds with anger as I gently close up the Velcro on my 3-year-old son’s little sneakers. “Why are you angry?” asks my husband. “Because the world doesn’t look the way it should,” I say. “Then let’s make it into a different world,” says my son. And I give him a big fat kiss on his little round cheek. Then let’s make it into a different world. In January 2008, my husband and I returned to Baltimore from a week of canvassing for Obama in a frozen New Hampshire. 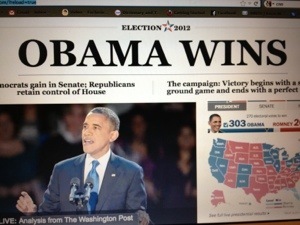 I felt in my bones that Obama would win. And I carried that feeling around for months like the secret of an insane person who believes she’s Christ reincarnate. It only took 11 months for Americans to realize the notion of an Obama presidency wasn’t crazy after all. Though when I hear the voice of President Obama, part of me still believes I’m living in a dream. Here’s to the new normal. And four more years. The latest film from Walden Media and 20th Century Fox shows American audiences how to stage a parent revolution. Choose an American city with a troubled public school system. Make it Pittsburgh. Cast a svelte pale-skinned girl with deep brown eyes and honey-blond hair as a FARM-eligible dyslexic second grader. Give her a feisty, single white mom who has no college degree, works two jobs, and earns less than $27,000 a year. Stick them in a class with a really bad union teacher who is “tenurized” (in non-college-educated-white-mom parlance), and therefore can never be fired. Block the exits. a) Make sure the kid can’t switch classrooms. b) Show the heartless Catholic school turn the child away for her parent’s failure to make timely tuition payments (as in Walden Media’s Waiting for Superman.) Then c) recreate the emotional trial of a lottery for a seat in a charter school. Call it Rosa Parks. When luck is less than a lady, have a linebacker of a principal (Ving Rhames) say something locker room-speechy, like, One in four Americans can’t read. If you don’t like the odds, go out there and fight for something better. You can do it. Yes you can. Read The Secret (Jaime has), and brush those teeth. Your winning smile is your greatest asset. Get the gossip. Pull the receptionist card to get in with the superintendent, then buy that chatty gal a cup of coffee. You’ll never need her again, but she’ll give you the skinny on the latest law that will enable you to takeover your failing school if only you can get half the parents and teachers to agree. Crush on the miraculously still-teaching Teach for America alum at your F-grade school who plays the ukelele, can do the electric slide, and will rub his teeth clean for a woman with a full grown kid and no college degree. You’ll need him. Try and try and try again to get girlfriend fired up. Keep at it until you see a curl of smoke in her smile and a glint in her eye. This is the point when real parent organizers will start sharpening their pencils. Because from the looks of it, you need to buy three reams of paper ($15). Make that colored paper, so it looks good on camera (add $3). Copy up some petition forms (200 x $.10). Then take off from your minimum wage receptionist job so you can gather signatures when school lets out at 3 p.m. sharp (at least 8 hours at $8.48 an hour) and lure your new squeeze away from his union with shots of Jack Daniels from the bar where you work nights ($9). Use him to a) convert other teachers to your anti-union cause (his soul), and b) babysit your kid (free) while you and your partner canvass the tenements in your inner city neighborhood in the dark (priceless). Once you’ve got your petitions signed, stage a rally. Borrow some bullhorns. Call the media. Make sure to have 220 or so custom green T-shirts ($2,200), two bounce houses ($378 plus tax), and a bakery-grade cookie the size of a Frisbee for everyone and his/her mother ($500). Reserve one plate of cookies for the crew in the local news van so they’ll run your story at the top of the hour. Don’t forget the $60 you need to replace your daughter’s backpack, which her classmate broke during an in-classroom cat fight. You’ll also need money for the two buses it takes you to get to the tony private school where the beret-wearing head of the teacher’s union (Holly Hunter) wants to pay your child’s way in a last ditch effort to prevent your becoming the downfall of the American labor movement ($9.50). 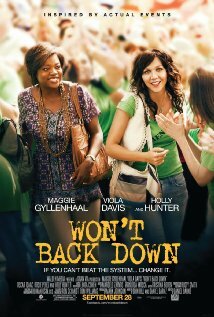 “Inspired by actual events” may be the most honest line in Won’t Back Down. Though the city and the cast looked and sounded a lot different. In real life, the first attempt to call “Action!” on the set of a parent trigger law-enabled takeover took place not too far from the sound stages of Hollywood. Printing up forms, canvassing, transporting people to rallies, handling the press – Parent Revolution, a nonprofit with a $1 million budget paid for by corporate philanthropists, took care of all that. (For the skinny, read Parent Trigger: Straight Outta Compton? I wrote it.) Parent Revolution told parents about the trigger and collected their signatures. Just like in the movie, they never asked about a PTA. They even fronted people matching T-shirts. They made them yellow. Won’t Back Down is unbelievable crap. But it’s also phenomenal as a witless send up of Parent Revolution. The Los Angeles-based equivalent of a production company hammers together Potemkin villages of faux-populist uprising for audiences across America. The ruse, for which Compton was a dress rehearsal, seems designed to convince elites (Democrats for Education Reform, the Bill and Melinda Gates Foundation, the Broad Foundation, Michelle Rhee, etc.) that real people will buy the reform package that their money bought and paid for. 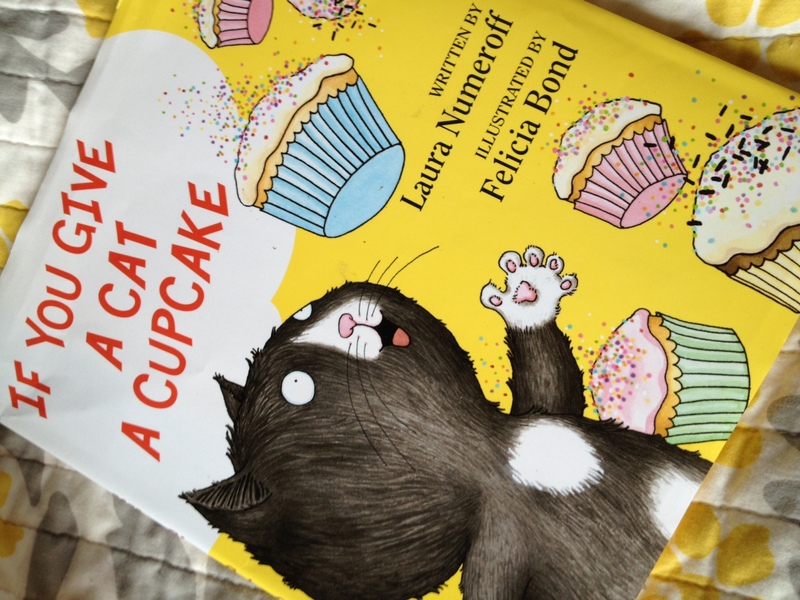 If You Give a Kid a Cupcake, or Is Baltimore the New Brooklyn? Yes, moms and dads, I was thinking of this book when I wrote this post! A few months ago on this blog I mentioned a book that changed my thinking about starting a charter school – sociologist Judith de Sena’s Gentrification and Inequality in Brooklyn. In it she reveals some bitterness about the new middle class’ rejection of neighborhood public schools in Greenpoint in favor of charters. What she seems not to appreciate is the resistance of longtime immigrant and working class communities to gentrifiers. The reasons to resist are many, not least of which is the rising costs of living that the gentry bring in their wake. An important site of resistance is the neighborhood public school, over which the old guard may not be eager to relinquish its hold. The same dynamics are at work in Hampden, the Baltimore neighborhood where I live. The divide between old Hampden and new Hampden is so clear that it pretty much goes unmentioned. Old timers drink at Zissimo’s. Newcomers drink at Golden West, or Holy Frijoles, or 13.5% Wine Bar. Old timers buy coffee at Royal Farms or 7-11. Newcomers buy it at Common Ground or Spro. (There is no Starbucks here. The newcomers value local over corporate enterprise.) Old timers send their children to the local public school or the Catholic school a few blocks away. Newcomers? Historically, they move or pony up for private school. These days, they attempt to start charter schools or enter the charter school lottery. Now a growing group is doing what my husband and I are doing – work to make the neighborhood public school a top choice for every family zoned for it. About a year ago I sat down on my couch and drew up a mission for an organization that was already beginning to take shape on its own. I called it Wham!, an abbreviated mash-up of Wyman Park and Hampden, two neighborhoods with lots of newcomer parents of infants and toddlers. Our first event was a playground clean-up with the principal. We’ve become regular contributors to our community organizations’ respective newsletters on the school’s behalf. We’ve connected with current parents at the school and catalyzed a move to get every conceivable volunteer opportunity at Hampden Elementary/Middle School #55 loaded up on the Baltimore City Public Schools website. We raised some cash by running a booth at Hampdenfest. 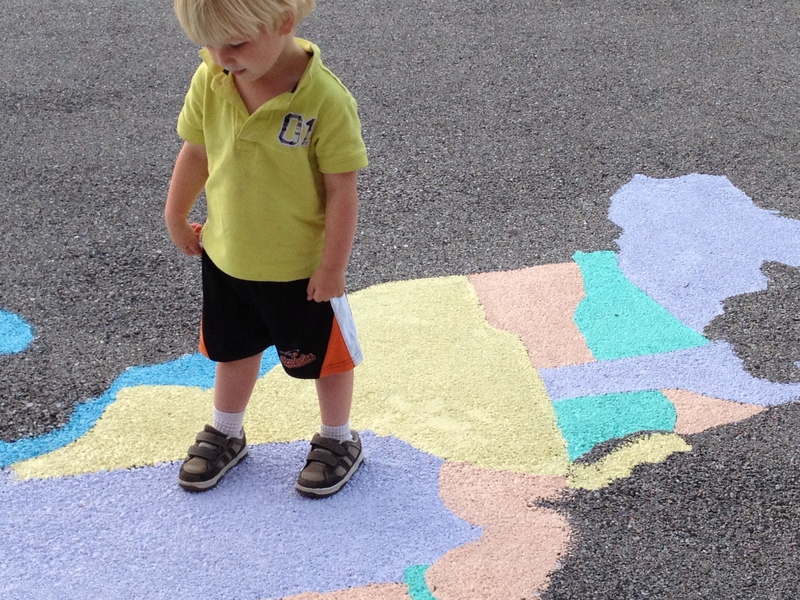 We’re putting it toward painting a gigantic U.S. map on the school playground in May. The principal has dubbed us the Pre-P.T.O. I get lots of “good for yous” and “more power to you” when I talk to people about Wham! It’s encouraging. But we all know that what’s going on in Brooklyn right now presages the kind of friction that could be stirred up here. We know you can’t make a cupcake without breaking some eggs. If we do this right, though, we might just get some sprinkles to go with it. On a related theme, I’m cooking up a new post about four trends in American parenting and the struggles of the shrinking middle class. Subscribe to stay tuned. Read the Baltimore story and you’ll notice a heavy focus on efforts to ameliorate concerns among parents in Mount Washington and Charles Village about the neighborhood public schools. But the narrative begins and ends with the story of one family, the Balchunas, who were priced out of Howard County and bought a home zoned for Roland Park Elementary/Middle School instead. “I want to use Roland Park Elementary, but I’m worried it won’t be able to accommodate where my daughter is intellectually,” Balchunas said. To give the message a little more context, New Century is a Montessori-inspired preschool which, according to the school website, offers “complete language immersion in either Spanish or Mandarin Chinese for the toddler classes.” If that’s a parent’s ideal, it’s a safe assumption that the academic program at RPEMS would be a step down. And, to be fair, worrying that a public school is below our children’s intellectual par is something all parents of a certain class do. We’ve been trained to think private equals better. More to the point, we believe our children are really, really bright. You can’t fault Balchunas for believing that. It’s a great thing to believe about one’s own child, which is why almost every other parent I know believes the same thing. So I hesitate to dismiss Balchunas. I would love to meet her. (In fact, I’m trying to.) She was brave to talk to the press. She’s obviously a good mom. She’s putting her kids first in every decision her family makes. What jumped out at me about the quote, as Bednar reported it, was the use of the word “use.” “I want to use Roland Park Elementary,” Balchunas says. Now the Talmud Torah opens its doors. At the risk of sounding like a pedant, I went to school. (The school I attended through sixth grade was a yeshiva, actually.) I will send my child to school. I want to find him a school he can go to, a school he can walk to. A school is a place, not a thing. It contextualizes a certain kind of activity – namely, learning. That a parent would talk about wanting to “use” her public school – well, that’s how we talk about the public bus, or the city pool. What does it say when parents who can afford a private institution start talking about public ones the way we talk about what is, in Baltimore, the lousiest mode of transportation? The cheapest way to cool off? There goes the neighborhood (by car). And the country with it. Which leads me to story number 2. David Sirota’s wrath at the nation’s “dangerously removed elite” – which he trains mainly on Chicago mayor and former Obama chief of staff Rahm Emanuel and New Jersey governor Chris Christie – comes in reaction to an outcry over the school and home purchase choices of Tom Boasberg, the public school superintendent of Denver, Colo., where, I am led to infer, Sirota lives. Like the president himself, none of these political uber-men sends his children to an urban public school. Denver’s superintendent sends his children to school in Boulder, “one of America’s wealthiest enclaves.” Emanuel and Christie don’t send their children to public school at all. From there, I went to what is arguably the finest independent school in the country, Horace Mann School. Nearly every one of my teachers had a master’s from Teachers College. I learned with African-American and Hispanic and Latino kids for the first time. I also met super rich kids. One named Jordan lived in the Pierre when his parents’ home was being renovated. Another named James played banjo, wore torn jeans and Birkenstocks, and managed my soccer team sophomore year – something students did to get out of gym. He drove me home once (he didn’t take the bus) in a used red Jeep Wrangler with a Steal Your Face sticker on the back window. His last name was Murdoch. I went to bar mitzvahs at the Helmsley Palace and Tavern on the Green. Central Park was my front yard. The Metropolitan Museum of Art – where I think you can still get in for a penny donation – was where I’d hang out on rainy weekends. “In many cases, these aristocrats aren’t even required to publicly explain themselves. (Boasberg, for example, is never hounded by local media about why he refuses to live in Denver.) Worse, on the rare occasions that questions are posed, privacy is the oft-used excuse to not answer, whether it’s Obama defenders dismissing queries about their Sidwell decision, Christie telling a voter his school choices are ‘none of your business’ or Emanuel storming out of a television interview and then citing his ‘private life’ when asked about the issue. I would go a step further than Sirota. First off, political leaders are ordinary citizens. Second, ordinary citizens’ personal education choices are public choices, even when those citizens aren’t brave enough to talk about those choices to the local press. Our decisions as “parents of choice” – as we are labeled by North Avenue – about what neighborhoods to live in and whom to let our children learn with have public effects. If my husband and I choose to send our son to an expensive private school, or to send him to a boutique charter school, or to make the local public school a top choice – those choices get in everybody’s business. That may be especially true in a small town like Baltimore. But it’s no less true in Chicago or New York City or Washington, D.C. We – all of us ordinary citizens with children – can’t say we want our children to grow up in a more just world, one that is more equal, more tolerant, more sustainable, if we keep making choices that reproduce the status quo. The places Americans create for learning reflect who we are as a people. They shape who our children will become and the context in which they will live. No place more accurately embodies the world we are making for our children than the neighborhood public school. So maybe it’s time for parents who can afford better to stop asking whether they can use the public schools, and start asking how our public schools can use them. For more on the topic of wealthy public figures excluding themselves from the school communities most affected by their policies, see “The Best Posts About Public Officials (& Non-Elected ‘Reformers’) Sending Their Children To Private Schools” on Larry Ferlazzo’s Websites of the Day. For more video showing how Emanuel and Christie have fielded kids’ schooling questions, watch this. As always, comments are welcome. Well, yes. (Though me not giving something “much thought” is another man’s spending hours in quiet contemplation.) I live in Hampden, a notoriously white neighborhood in Baltimore City, the land of failed desegregation, redlining, and massive white flight. While the principal of my zoned elementary school is African American, when thinking (as I have done a whole lot) about how to make my neighborhood public school more attractive to parents like me – parents who prefer the farmers’ market to Royal Farms – race is not my primary concern. Class is. I started thinking about all this way before my son – my only child – turned one. It was the year To Kill a Mockingbird celebrated its 50th anniversary. And it was then, as I wondered if it might be easier to attract Hampden’s middle-class white parents to a predominantly poor black school in Charles Village than to our predominantly poor white one, that I made a literary parallel: We were Atticus Finch, enlightened defenders of equal rights under the law. Those other Hampden parents, they were Bob Ewell. Lucky for Atticus, he didn’t have to worry about the Ewell children’s bad habits rubbing off. Because after the first day, those cootie-ridden truants never showed up. Sensing my mindset was warped, I decided to call the principal of Hampden Elementary and see the school for myself. We set up an appointment. I took the first hour of that morning off work. She didn’t show up. At that point, I had ties to two fledgling parent-led charter start-ups with visions of organic lunches and Reggio Emilia-inspired ateliers. My allegiance was (as you might expect) teetering. I felt the urgency of what we/they were doing. I knew the tide was in our/their favor. But I couldn’t help feeling how selfish it seemed, how precious, how entitled, how gentry. For the rest of the year I ratcheted down my intensity in the school department. I noticed when Diane Ravitch came to town, giving a voice to thoughts I’d had about the charter movement and sparking some new ones. I kept in touch with my new friend at the HCC. I went to some panel discussions at Margaret Brent that parents in Charles Village set up. I held onto my vision of sending my son to the neighborhood public school. A school that kept parents like me in the neighborhood well after their kids turned four. A school he could walk to. My son started to walk that September. And that was the greatest excitement of 2010. 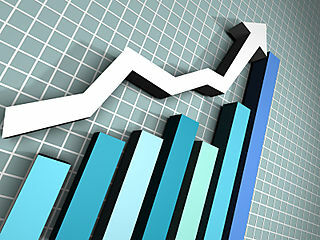 This is what rapid growth looks like, in the world of stock images. Baltimore City is a case study in the push for school choice. In November 2004, with the benefit of pro bono services from global lawyering giant DLA Piper, the founders of City Neighbors Public Charter School succeeded in an effort to eliminate the cap on the number of new charter schools that could open here. By 2005-06, there were 12; by 2007-08, 22. Now there are 34 of about 200. Next year, there will be more. With only 15 schools making Adequate Yearly Progress in 2011, no one can claim that the reforms of the past few years are doing much good. But right now, the school choice story isn’t about quality. It’s about quantity. Whether or not Baltimore City will turn into another New Orleans, where 61 of 88 public schools were charters as of August 2010, the campaign for the exponential growth of charter schools in the name of “parental choice” is overwhelming. On July 17, the New York Times printed a story on conflicts over a boutique charter school in an affluent New Jersey suburb. This week, Maryland’s Montgomery County approved its first charter school. In terms of national policy, under the leadership of Arne Duncan, the U.S. Department of Education is “incentivizing” an increase in the number of charter schools by states as a condition of winning Race to the Top funds. Corporate philanthropies are also pushing hard and fast for choice. In February 2011, the Progressive Policy Institute published a report coaching charter school supporters on how to take advantage of acquisition opportunities and eliminate barriers to expansion titled “Going Exponential: Growing the Charter School Sector’s Best.” The paper was written by three education policy consultants at Public Impact with support from the Walton Family Foundation, the philanthropic arm of Walmart. As of this week, the Walton Family Foundation is also the single largest private donor to Teach for America. Despite a 2009 report by BCPSS stating that the only significant area of superiority in the performance of charters versus traditional public schools is school climate, the school board’s push for choice in the form of charters continues. Given the resounding drumbeat, the number of “schools of choice” in Baltimore could double in the next five years. It’s reasonable to expect that it could more than double. Astroturf Activism: Who Is Behind Students for Education Reform? Like schools, some hospitals have mascots. This adorable photo is from the University of Missouri Children's Hospital. SteveK writes, “No school can be all things to all children.” There’s a truism. It’s kind of like saying no hospital can be all things to all patients. Here’s a brief meditation on this analogy. How Is a Public School Like a Hospital? The challenge of operating a public school and a hospital are similar in that both institutions have an obligation – call it ethical or professional, doesn’t matter – to improve the life of everyone who walks in the door. So they offer a range of programs and they employ a staff of generalists and specialists capable of customizing approaches to a broad range of cases. Every so often, a hospital is presented with a case that another hospital would be better equipped to handle. The same goes for schools. The story of Matthew Sprowal – the boy who was counseled out of a New York City charter school and into one that turned out to be a great fit – is one example. But here’s where the hospital analogy begins to fray, and with it, this particular argument for school choice. Once a student is admitted to a public charter school, a student or guardian may not be asked or counseled to leave for reasons related to academic performance, behavior, or attendance unless consistent with City Schools Discipline Policy and City Schools Code of Conduct. If the argument for choice is that every child is unique, then – barring the absurdity of a school for every child – the system has to provide the individualized attention that would get every student into the “best fit” school. Sometimes that won’t happen on the first try – especially when you’re talking about four- and five-year-olds whose strengths and weaknesses are only beginning to emerge. (This touches criticisms of the kind of testing that goes on in selective private school admissions.) If choice is to work to improve the life of the individual child, then educators – professionals, not just parents or guardians – need to take part in the work of getting every single child into the best school for them. That’s an extremely tall order. If you want to argue that Matthew Sprowal’s story is a great argument for school choice, you have to concede that it wasn’t simply “choice” that made his life better. It was the involvement of his mother and school administrators in the act of choosing. When you take counseling out of the picture, all you’re left with is a consumerist system driven by competition and market trends. That’s hardly conducive to the kind of collaboration across schools that would be needed to find each student the best fit. Which can leave a thoughtful person wondering if individualizing public education is the true intention of the school choice movement at all.